The blade-style Acid Gambit provides a stylish sport fit and offers high impact ballistic protection for the fast-moving operator. `Its flexible and durable rubberized matte black frame is equipped with soft thermoplastic rubber nose pads and Edge-Flex temple arms to create a comfortable, nonslip fit. `The open lower frame prevents sight obstruction and allows lenses to be easily removed and replaced with one gloved hand and no tools to accommodate the Clear Vapor Shield and G-15 Vapor Shield options. 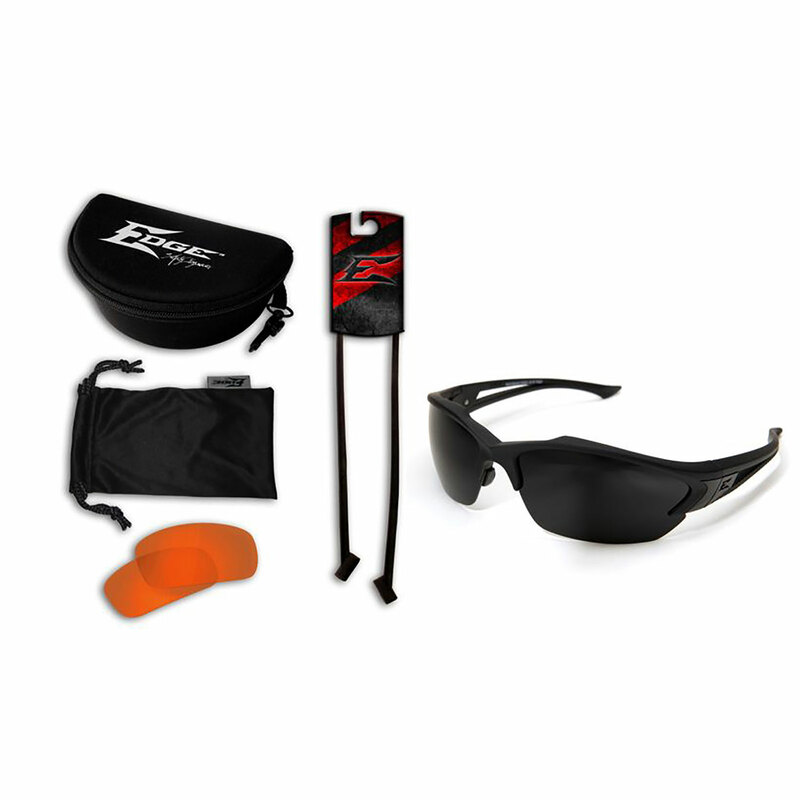 `This kit includes a gummy leash, hard case, and lens cleaning bag. `Clear lenses are the classic option for safety. `With pristine clarity, they are an excellent choice for indoor and low light conditions. `The addition of Vapor Shield "military grade" anti-fog technology keeps these lenses completely resistant to fog, even in extreme environments. `85% of visible light passes through this lens color.G-15 lenses are perfect for a variety of bright light conditions because they maintain true-to-life color perception, resulting in reduced strain and a cooling sensation on the eyes. `The addition of Vapor Shield "military grade" anti-fog technology keeps these lenses completely resistant to fog, even in extreme environments. 15% of visible light passes through this lens color. `Edge Tactical Eyewear glasses are tested in independent laboratories to ensure their compliance with ANSI Z87.1+2015, Military Ballistic MCEPS GL-PD 10-12, and EN166 F CE standards. `All Edge lenses block 99.9% of UVA, UVB, and UVC radiation and are coated to reduce scratching.